In our recent Horseshoe Bay West property acquisition, Josette made it an effortless and anxiety-free experience. She assisted us in every step of the process and we came to rely on her knowledge and real estate expertise. 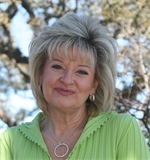 If you are looking to buy or sale real estate in the Horseshoe Bay area, we highly recommend using Josette. Josette, Working with you has been a dream! The property in Horseshoe Bay West was one of the most painless real estate purchases I have ever made. Thanks to you, I was able to stay on track while moving through all of the funding steps. I was able to close in less than a month. If it wasn't for your business connections, and experienced advice along the way, that would never have happened. You made me feel like a valued customer, even when I was asking 101 questions. Josette was referred to us as a family friend while we were beginning to search for our first home together. As a long-term Austinite, she knew exactly the areas we were interested in, providing insights into the specifics when buying a home. Josette worked around the clock to accommodate our busy schedules, meeting us after work during rush hour, and early calls on the weekend to late discussions at night when we were in the negotiation process. She brought her kind-hearted attitude, experience in real-estate, and strong work ethic to find our perfect home to start our lives together. Josette was not just our realtor, but a friend and confidante that we can rely on in the future years to come.